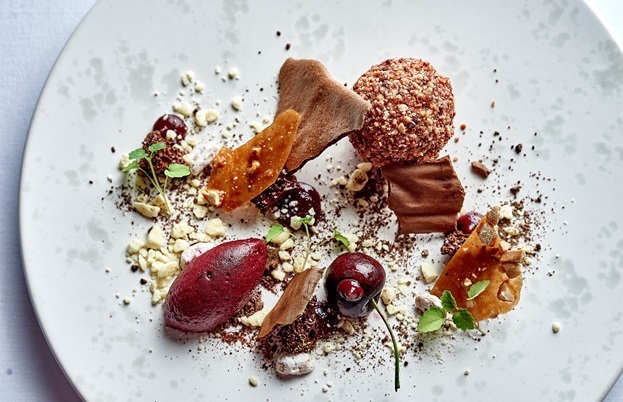 L’Ortolan has a serious pedigree when it comes to stellar head chefs. Tom Clarke is the latest to man the pass, and over the past few years he’s taken the Berkshire restaurant to dizzying new heights. When we think of prestigious restaurants in the UK, we often jump to the obvious. 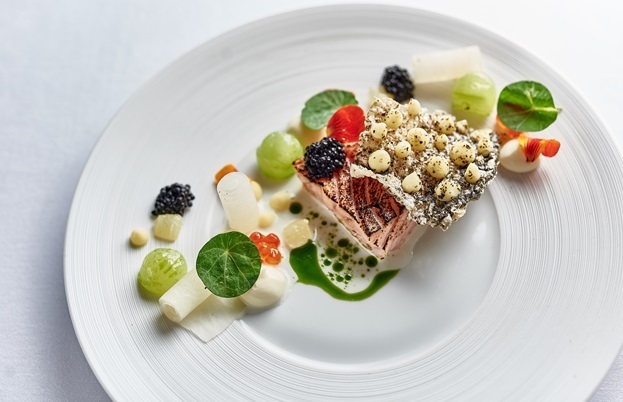 Raymond Blanc’s Le Manoir aux Quat’Saisons, the Roux brothers at The Waterside Inn and London institutions like The Dorchester, Le Gavroche and Claridge’s. 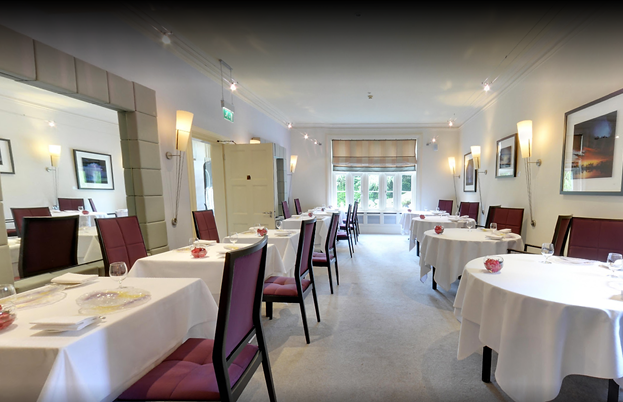 But just outside Reading in a small village called Shinfield, there’s L’Ortolan – a Michelin-starred restaurant with it’s own prestigious lineage of chefs. 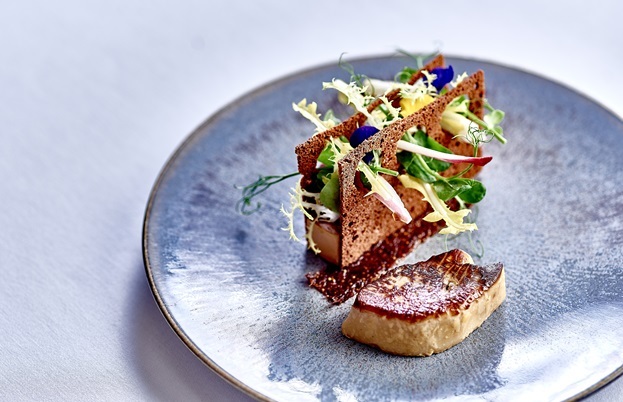 Nico Ladenis, John Burton Race and Alan Murchison have all graced the kitchen at L’Ortolan, which leaves three sets of big shoes to fill for Tom. But does he feel the pressure of the restaurant’s history? Tom’s journey continued through some very demanding kitchens. At just twenty-two years old, he was working at Raymond Blanc’s aforementioned Le Manoir. 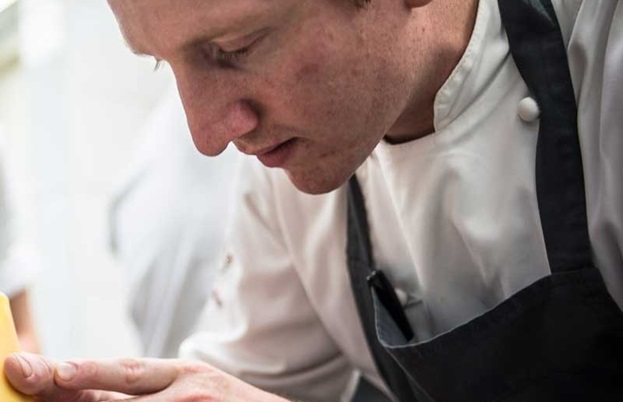 He stayed there for two years before heading to Shinfield for his first stint at L’Ortolan, and then spent time at legendary French two Michelin-starred restaurants Le Strato and L’Oustau de Baumanière. 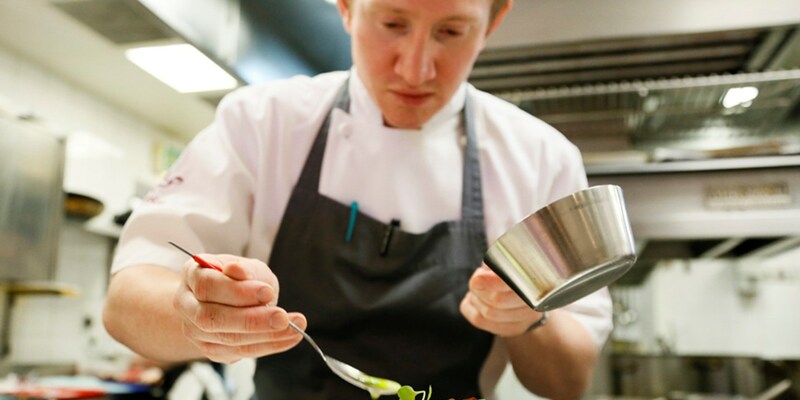 ‘Having worked at Le Manoir and L’Ortolan, I’d learnt a lot about French food, but I was really keen to experience it in the country itself,’ Tom says about his time in France. 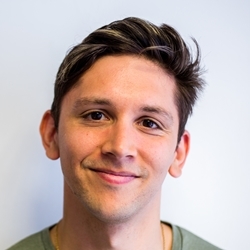 ‘The main thing I struggled with was the language – I went there knowing no French at all! I started as a demi-chef, but I was promoted to a senior chef de partie within two months, so suddenly I was doing orders. I had to pick up the language pretty quickly. After a year in France, Tom received a call from Alan at L’Ortolan, asking if he’d like to return to the fold. At the time, Tom was planning on leaving France, but a return to England was not immediately in his plans. ‘I was thinking about going to Germany, or possibly New York,’ he admits. 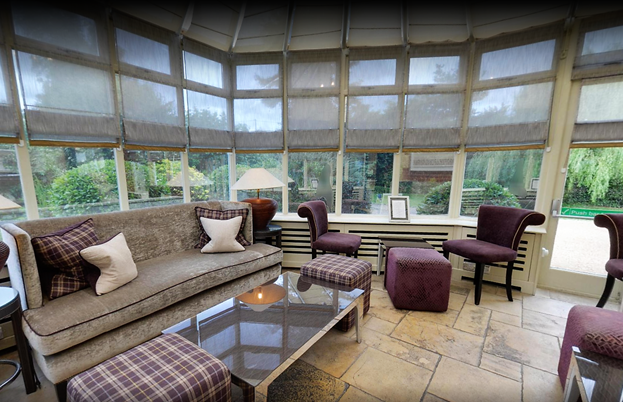 ‘When Alan asked me to come back to L’Ortolan, I thought I was just going to help him out for a bit. After a month he offered me the head chef job! L’Ortolan had two Michelin stars once upon a time, but when it comes to the restaurant’s future, Tom isn’t worried about awards. Instead, he’s focused on everyday changes, like having his chefs bring dishes out to guests. ‘If someone is going to explain a dish, there’s no one better to do that than the chef who prepared it,’ he says. He’s clearly committed to supporting and educating his young chefs, constantly teaching them how to prep new ingredients, giving them the same attention he appreciated at the beginning of his career.